The NIKE Premium WoSlingshot Irons 4-SW was designed specifically for ladies who frequent the course. These Irons are made not only for professionals but also for beginners and those who play occasionally and for fun. These Irons from Nike boasts of an increased effective bounce due to the wide constant sole width. Women will particularly love these Irons’ ultra lightweight Graphite shaft. The Clubface is made of Custom 455 stainless steel so expect lots of consistency with these Irons. With the NIKE Premium WoSlingshot Irons 4-SW, the hands of the golfer is always positioned ahead of the ball so you can expect an improved ball trajectory as well as solid contact with the ball. The Mizuno MX-25 Irons GRPH is a follow up of Mizuno’s top selling MX-23 so the manufacturers have made sure that the new version is a great improvement from the original. This Iron makes use of the Grain Flow Forged 1025E Pure Select mild carbon steel so expect Mizuno’s solid but soft feel while improving your game technology. This Iron has maximum forgiveness and a deep center of gravity thanks to the CNC milled pocket cavity design. It boasts of the High Energy Mass Impact or HEMI technology which makes possible the maximum transfer of energy from clubhead straight to the ball. The Mizuno MX-25 Iron is finished in durable double nickel chrome with modified U-grooves providing you maximum playability whatever condition you might be playing in. 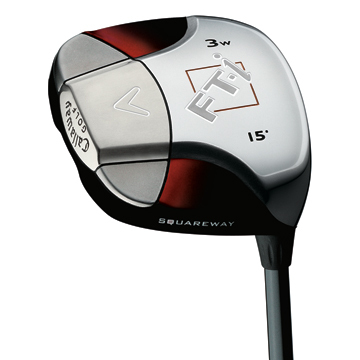 The Callaway FT-i Squareway Fairway Wood is an ordinary club that has been turned by Callaway into something extra. Callaway has succeeded in turning out a traditional club into square and this revolutionary design is making its presence felt all the way to the fairway woods. This club has greater moment of inertia thanks to the Squareway Inertial Design which made sure the club’s discretionary weight are positioned on the clubhead’s extreme corners. This club boasts of the S2H2 technology which positioned the weight from the hosel to the clubhead’s perimeter. 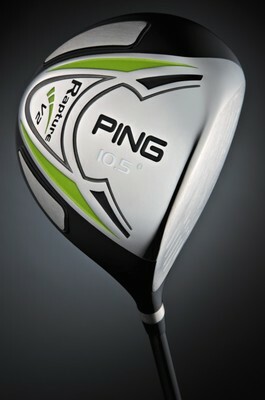 It also carries with it the VFT technology so you can expect greater ball speed, maximum distance and more forgiveness. Expect the Callaway FT-i Squareway Fairway Wood to do what the FT-I Driver accomplished for drivers and that is to help golfers get their shots into the green. The Callaway FT-i Squareway Fairway Wood has a stainless steel face with a carbon composite crown making for a lighter body and sole. The Ping Rapture V2 Driver is included in the rapture V2 Series which is one of carries with it external tungsten weight pads which you will find near the driver’s toe, head and back. These weight pads allow the driver to position the center of gravity so as to produce a high launch angle and a lower spin. You can expect higher moments of inertia Ping’s new releases for 2009. 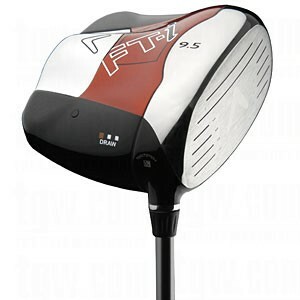 This driver is made of a 460cc titanium body and resulting to more accurate shots at greater distance. This driver has a taller face with a tapered crown that features the Double-Rapture alignment aid. Ping has been on a quest for a club that will maximize the benefits of multi-metal technology and it has finally produced what it envisioned with the Ping Rapture V2 Driver. The Callaway Mens FT-i Tour Series is touted to be the straightest driver in the world with a 460 cc Complete Inertial Design, a CT/VFT Titanium Cup Face and an OptiFit Weighting System. This driver is the personification of modern driver design that has pushed the boundaries of rules and shape to the limits. The design positions the weight to the clubhead’s extreme corners thus producing higher MOI or Moments of Inertia. With this driver you can expect more forgiveness, greater distance and an increased ball speed. Expect more stability due to the precise positioning of the Center of Gravity. The body is made of carbon composite material making it lighter and with a discretionary weight placed in the areas where it is most needed.